Progressive Property is a personal, nationwide networking and educational community for any property investor or entrepreneur who is hungry to make more money, invest more reliably, and lay a path to greater freedom, choice and profit. 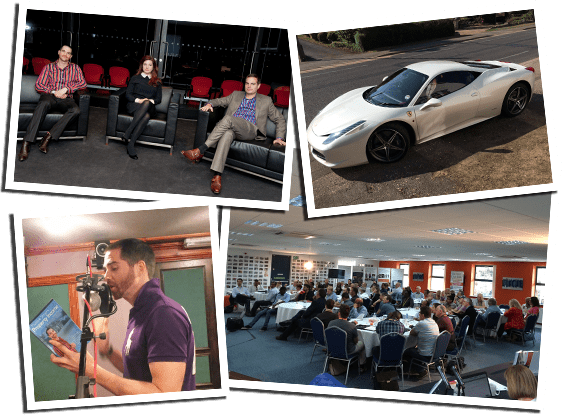 Progressive Property was the brainchild of two dreamers who merely wanted to build their property portfolio, but ended up becoming the UK’s largest property investment education company and changing the lives of countless entrepreneurs in the process. Co-founders Rob Moore and Mark Homer began Progressive Property after achieving financial independence in their 20s – but it wasn’t always an easy road. On paper, theirs should never have worked as a business partnership. When they first met at Rob’s first ever property event in December 2006, Mark was a risk-averse, paranoid introvert who was bored by the corporate world, but had no idea how to escape it. Alternatively, Rob was a failed artist, had £50,000 in credit card debt, and was in shock from a life-changing experience he’d had earlier that month. They had no idea of the impact that their unexpected introduction would have on their lives, and on the whole UK property market. They soon realised that their traits and personalities complement the other’s, with Mark as the spreadsheet master and contrarian strategist, and Rob as the motivator, the innovator, and the disruptive entrepreneur who is committed to action. For this reason, in 2007 they took a risk on each other, and now they continue to make a real difference to the property investment industry. Their unified vision is to further expand their property portfolio, continue to systemise their methods, and change the lives of as many fellow investors as they can. After forming Progressive Property in 2007 they bought one property in 2008, another 4 in 2009, then another 20 in 2010. During these early investments – which later led to a property empire of hundreds, bought at an average 28% discount – Mark and Rob began using the investment processes they would later systemise and teach to countless other property investors. If this pair of normal guys succeeded in property using the same systems that they want to share with you, then you can too. Rob and Mark never dreamed that Progressive Property would scale so successfully – especially since virtually every other property-related business started around the same time has collapsed and gone under – but their results have let them expand during one of the largest global recessions. The company’s endurance reflects the unique and life-changing effectiveness of the Progressive Property model, including its powerful training courses, multimedia CD, DVD and online programmes, plus its network of multi-millionaires, top entrepreneurs, investors and the wider Progressive community. Since founding Progressive Property, Rob, Mark and their partners have educated hundreds of thousands of investors, authored 9 books (many bestsellers), broken two Guinness World Records, and purchased and sold over 600 properties. Rob and Mark are still, to this day, active property investors, so it is in their interest (and yours!) that they know the very latest developments in the property world. They love to share facts, tips and processes via their popular podcasts, blogs, books and across social media, but nothing compares to the priceless knowledge they teach through Progressive Property’s training courses. 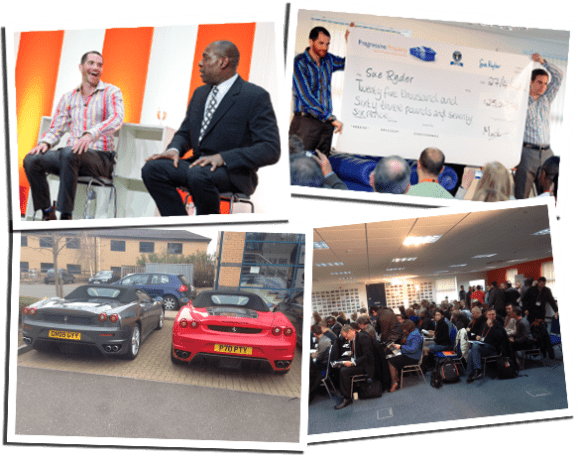 During these classes and seminars, Progressive Property’s trainers – who are multi-millionaire investors and entrepreneurs themselves – reveal to people just like you how to change your life following straightforward, proven property investment systems. The company’s head office based in Peterborough, where a team of almost 70 Progressive Property intrapreneurs help busy property investors across the country to increase their portfolios, to learn the systems that worked so well for Rob and Mark, to become experts in their field, and to inspire action and energy in everyone they meet. Progressive also runs a letting agency and holds both local and national property networking events (PPNs) – and all this while remaining personal and community-based, and aiming to be the most approachable and professional property educators in the UK.